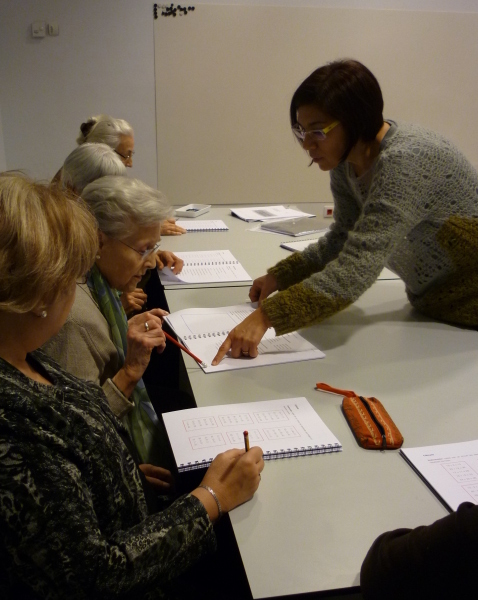 A new activity began in the Museum on 15th October, a six-month long memory workshop for the elderly with the aim of getting the elderly people of the neighbourhood closer to the work and life of Picasso. 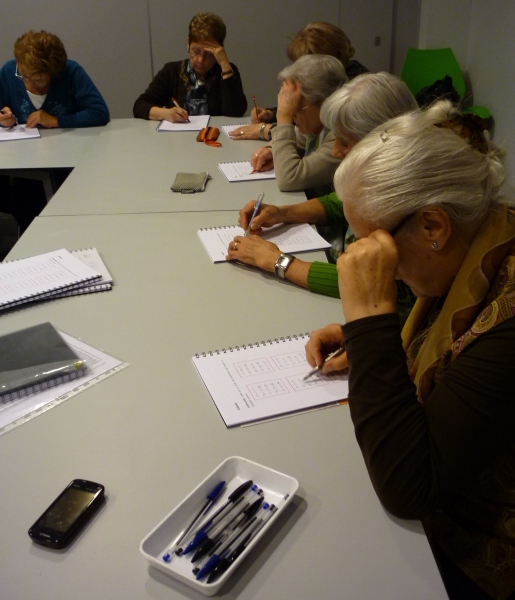 The workshop has been developed around two main working lines: on the one hand to strengthen and stimulate the cognitive capacity of the participants, with the aim that the elderly people of the neighbourhood can keep their enthusiasm alive for culture and knowledge by developing their learning skills, and those of communication, concentration and observation. 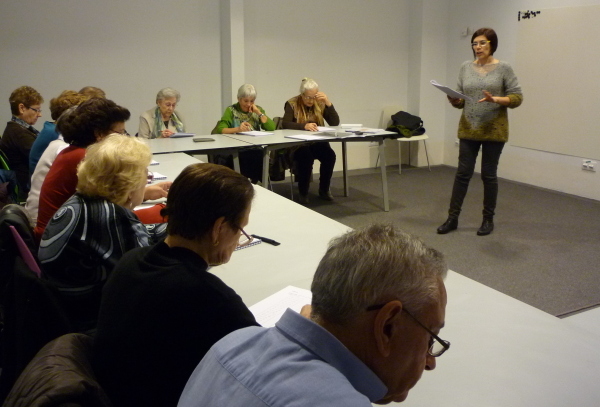 On the other hand, to boost their social and cultural relations, since the workshop also works on helping the participants to develop their social relations: circulation, interaction, mobility, the reduction of dependent behaviour, by exercising the memory and having as a centre of interest the life and work of Picasso. 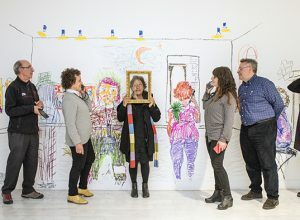 With the memory exercises carried out in this space, the 18 people who participate are able to discover the subjective relation each one has, individually, with art and specifically the work of Picasso. 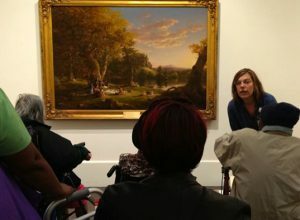 Each participant, from the relation and communication with the others, and from learning and an exchange of opinions with museum staff, can in this way develop a personalized link with art, based on the knowledge of the work of the artist. 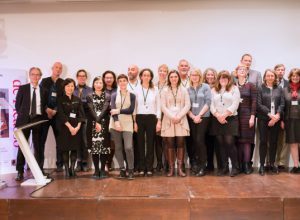 Through the activities, we address some of the most relevant works of the author in our collection and how these are present in our closest social and cultural environment. As far as possible, the aim is to try to relate the pictorial work with the life and personal experiences of the participants. We find people with strong ties with the neighbourhood, that still have family memories related to Picasso, and although they might not be directly related to his stay in the neighbourhood, which was too long ago, there is a link with the constitution and the opening of the museum, and the changes that have taken place in the surrounding area since then. The methodology undertaken in the workshop is participative and is adapted to the personal situation of each participant, taken into account the fact that the level of demand and participation will increase as the workshop progresses. A direct and comprehensible language is used in a relaxed and friendly atmosphere, strengthening the successes and minimising the mistakes. 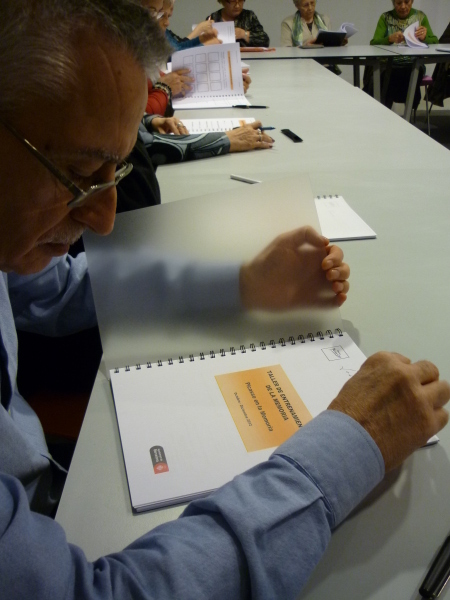 The workshop is organised in two 3-month terms and is carried out in sessions of one and a half hours, once a week. 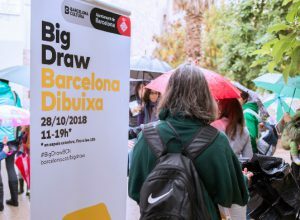 Em sembla molt interessant l’activitat, i la nova vida que amb aquesta iniciativa es dona al museu, a l’obra de Picasso, relacionant-la amb la gent gran i la memòria que tenen del museu, de l’art i del artista. Obrim fronteres sense oblidar el passat, tot al contrari, fomentant el lligam entre passat, present i futur. 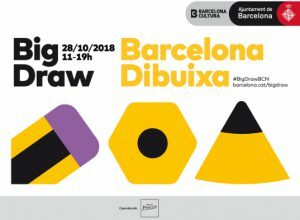 Molt encertada aquesta iniciativa , obrir el museu a la gent gran del barri i vincular l’art amb la gent de la ciutat. 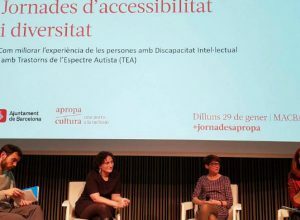 Una activitat que és alhora terapéutica i amb una càrrega social i cultural important i que convida la gent gran del barri a interactuar. Fora bó que altres recursos de la ciutat preguin nota d’aquesta iniciativa. Felicitats !!! Moltes Gràcies Silvia Salsini i Antº Rosa pels vostres comentaris i agraïments. Des del museu estem molt contents amb els resultats que està tenint i esperem que aquesta sigui una iniciativa molt profitosa per a tots.